This article was originally published on the Environmental Investigation Agency (EIA) website. Latest South African government statistics indicate that the country's rhino poaching figures are trending emphatically upwards, and debates on how the poaching crisis should be tackled rage on. One major debate that has divided experts is whether legalising the trade in rhino horn is the way forward. Here, Paul Newman, press and communications officer for the Environmental Investigation Agency (EIA), weighs in on why South Africa should not go down the legalisation route. It's nearly three full years until the 17th meeting of the Conference of the Parties (CoP17) to the Convention on International Trade in Endangered Species of Wild Fauna and Flora (CITES) takes place in South Africa. Yet a propaganda battle – or charm offensive, if you're feeling expansive – is already under way in a bid to win over hearts and wallets if not minds to secure international approval for a legal trade in rhino horn, overturning a ban which has been in place for more than 30 years. 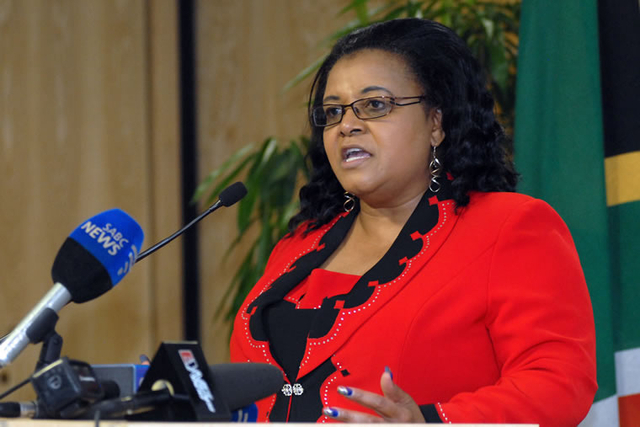 Edna Molewa, South Africa's Water and Environmental Affairs Minister, and her delegation were doing the groundwork for a horn trading mechanism at CITES CoP16 in Bangkok this March. She was quoted in the press as stating: "We believe it is the right direction as one of the measures [to curb rhino poaching]. The model that we have is based on pure law of supply and demand. Economics 101. Our rhinos are killed every day and the numbers are going up. The reality is that we have done all in our power and doing the same thing every day isn't working. "We do think that we need to address this issue of trade in a controlled manner so that we can at least begin to push down this pressure." It's a stretch of the imagination to conceive that Molewa and her colleagues in Government aren’t seriously considering pressing their home advantage when CoP17 rolls into Durban. And they're not alone. Private rhino farmers in South Africa comprise a powerful lobby, and have also begun to implement their own strategies to pave the way for legalising a trade in rhino horn, touting the move as the only viable way of saving the rhino from extinction in the face of appalling, and rising, levels of poaching (as of May 30, a total of 367 rhino have been poached – 247 of them in the Kruger National Park). But, to paraphrase Mandy Rice-Davies, "they would, wouldn't they?" For years, many rhino farmers have been dehorning their animals as an anti-poaching safeguard, but instead of destroying the legally worthless horn they've been storing it in bank vaults in anticipation of the day they’ll be able to sell it, leaving some of them sat on stockpiles which could be worth hundreds of millions of dollars if allowed onto the market. The pro-trade lobby's arguments are simple enough, albeit freighted with a horrible sense of déjà vu: efforts to curb poaching are failing due to huge demand from Asia, so the best way to preserve rhinos is to flood the market with the huge stockpiles of horn via a well-controlled legal trade, thereby satiating demand it and undermining the black market. There is just one major problem with this scenario – it's fundamentally flawed and won’t work, as history makes abundantly clear. This system failure was so colossal that even wildlife trade monitoring network TRAFFIC, which officially endorsed China’s legal ivory trade system, had to respond in a press release: "The magnitude of these seizures is a shocking blow to the integrity of China’s legal ivory trade system and demonstrates the need for an independent audit to be carried out." The fact is that a legal ivory trade has done nothing to stem poaching but has instead directly helped stimulate demand, confuse consumers, and provide the perfect cover for poached ivory to be laundered onto the market. Furthermore, it provided the Government of China with an opportunity to effectively cash in as it bought Africa's ivory cheap and sold it on to its own domestic carvers and dealers at a huge mark-up. The ugly mercantile philosophy of 'sell it to save it' has had a spin of the wheel and has been a demonstrable, undeniable failure. Why should a legalised trade in rhino horn be any different? With a few notable exceptions, it's fair to say that South Africa has a poor record of enforcing CITES recommendations and protecting its iconic wildlife. Under the guise of legitimate legal hunting, it has recently presided over the farcical and clearly criminal phenomena of 'pseudo hunting' in which middlemen arranged permits for Thai bar workers and other individuals to hunt rhino; the resulting 'trophies' could then be legally exported, most often to Vietnam. In traditional medicine, rhino horn has been prescribed for just about everything, from curing demonic possession and warding off evil spirits and miasmas to treating hallucinations and bad dreams, boosting the body's robustness and treating typhoid, headache, feverish colds, carbuncles, boils and fevers. It has also been used to expel fear and anxiety, to calm the liver and clear the vision, as a sedative to the viscera, as a tonic and to combat infantile convulsions, dysentery, vomiting, food poisoning, drugs overdoses, arthritis, melancholia and loss of the voice. 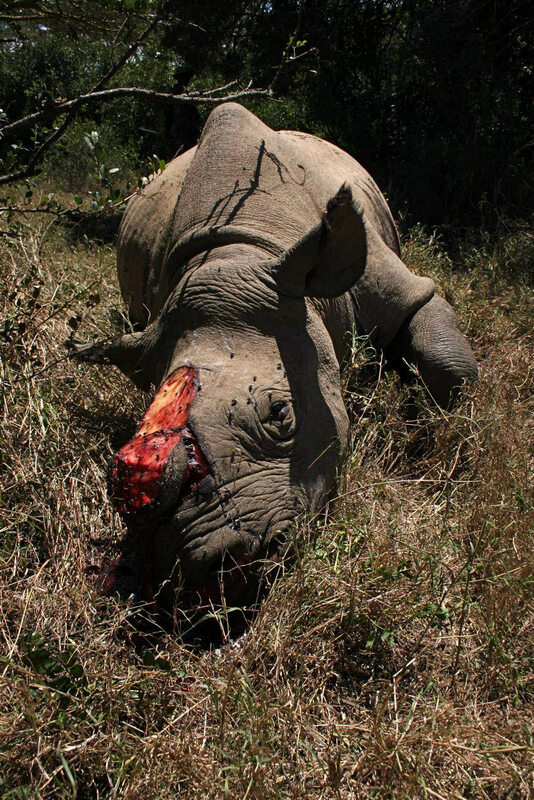 More recently, horn has been found to be sold as a 'club drug', a hangover prevention and cure (again, unproven) for the nouveau riche; would the people of South Africa really be happy to see their rhinos going to meet such a utterly shameful use? But medical chimera or not, the belief in the efficacy of rhino horn in Vietnam is unlikely to go away any time soon. Against a background of considerable environmental pollution – in part from the US military's widespread dumping of defoliant during the Vietnam War and in part from the country's own 'anything goes' industrialisation in more recent years – Vietnam has one of the world’s highest cancer mortality rates. It also has only a handful of medical centres treating cancers, with widespread poverty preventing most people from seeking diagnosis, let alone treatment; it's perhaps not surprising that so many Vietnamese will take a chance on a folk remedy when they've no other choice. For starters, it would effectively be legitimising a huge transnational crime, rewarding the kingpins and middlemen for their persistence in outlasting the forces of law and order. 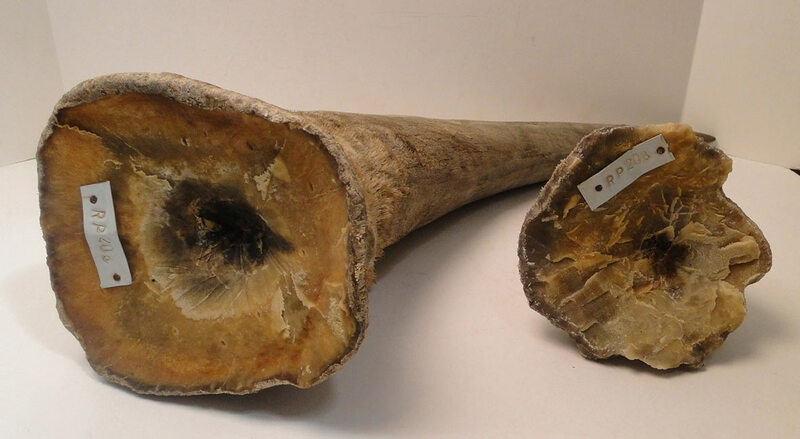 Perhaps more insidiously, a legal trade would be tantamount to telling the Vietnamese what so many of them want to hear due to a lack of medical options – "Yes, you can now legally purchase and take rhino horn for your cancer or other ailment." – effectively scamming them afresh, but this time with the legitimacy of international approval. Under a legal trade in horn, rhinos will continue to die to meet a demand for a 'miracle cure' that will continue to do nothing for those using it except let them continue to die also. There's so much more the government of South Africa can do before it ventures down the road of turning one of the world's most ancient surviving mammals into a commodity as if it were no more than a head of lettuce. For starters, it could publicly cremate all rhino horn stockpiles, sending a very public message to the people of Vietnam that it's worthless. South African afro-fusion band Freshlyground is putting some much-need star power behind the fight against rhino poaching.